Inspired by nature: the Alvra Longsleeve Shirt Men combines a soft, comfortable material with a slightly brushed inner side and will be a comfortable companion in any situation. 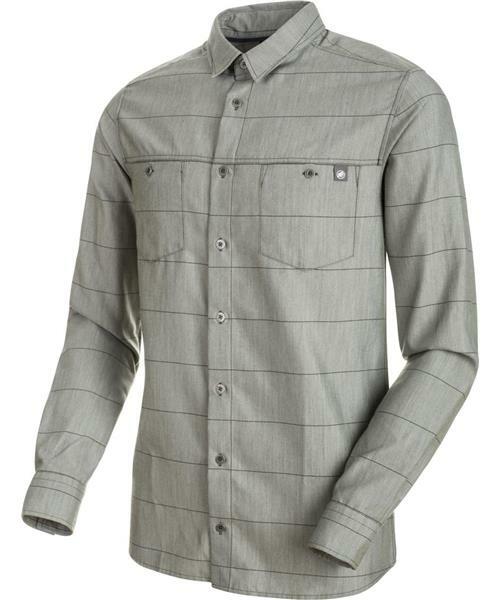 A high-quality wool blend giving the shirt temperature-regulating properties also adds to the comfort factor. An antimicrobial treatment with FreshTech effectively reduces unpleasant odors and turns your everyday routine into a relaxed affair. The Athletic Fit adapts to your body shape and emphasizes your figure with an understated check look over most of the shirt. Two chest pockets with practical buttons add the finishing touches to the design.